A straightforward re-creation. Will it have what it takes? The Jared is strong in me today. Your screen must either take place in the sky or beneath the surface of water. 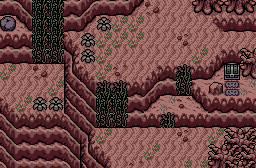 And of course, you are allowed to use any tileset you wish. 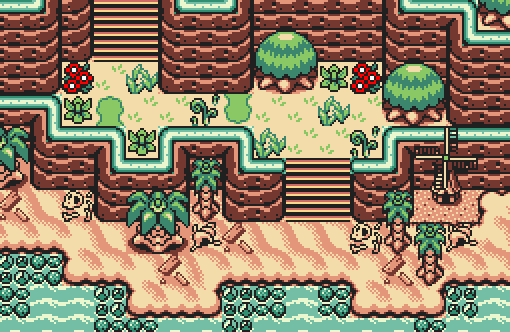 Anthus - It's definitely a good recreation, I like the look of the screen, but there isn't really anything else I can say about it. Jared - Very unique indeed. I like the dark atmosphere here and it looks really cool. Nice job. Joelmacool - Really love this shot. I love how you transformed the original shot into a coast. Very unique recreation. Lut - Another shot I really love. The colours in this shot are really awesome and the recreation looks amazingly well done. It was very close between Joel and Lut, I was literally torn. I have to go for Lut though, but I really wanted to vote for both if I could. Lüt stole Jared's Jared so Jared couldn't even Jared this week. That said, I still like Jared's Jared. Meanwhile, Joel tried to Joel, but he couldn't Joel hard enough, so I didn't vote for Joel and instead voted for Lüt. And Anthus was there too. What if I do both? Hmmm...? HMMMMMM? You get magical invisible bonus points of course! But if you can seriously pull that off, I say go for it! Welcome to Screenshot: Challenge Accepted! Where everything is made up and the points don't matter! Anthus - Solid screen here. No complaints but also nothing too impressive. 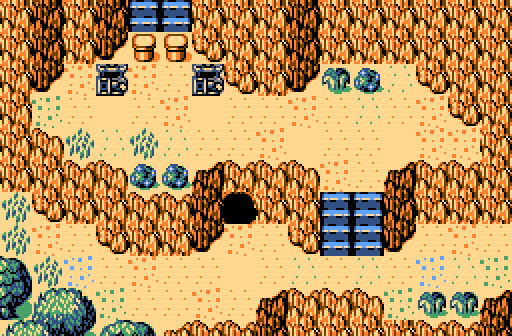 Jared - I like the varying elevations and whatnot, but I feel like this screen deviates a bit much from the original. 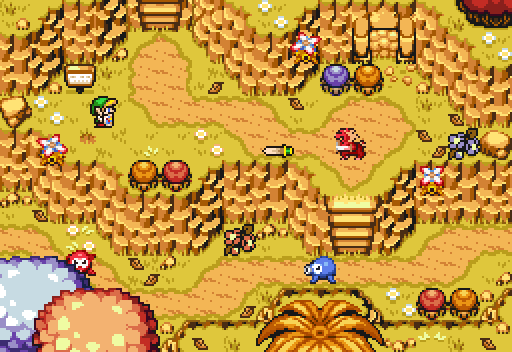 Joelmacool - I really like the atmosphere and palette for this screen, but everything just seems way too crowded. Lut - Good screen. It would be nice to see another tree or two near the top or right. The trees in the bottom left are positioned oddly close together, also, they block a lot of vision so I'm not sure where in that part of the screen I can walk. Tough choice this week, but I ended up going with Joel. Lüt stole Jared's Jared so Jared couldn't even Jared this week. Oh, those aren't trees, they're floating leaf piles. Yeah, I honestly wondered the same thing. 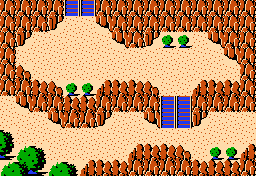 I see a number of popular tilesets with these big 4x4 trees, and a lot of designers use layers to make it so you can walk behind/underneath them, and I always wonder if there's a common walkability standard that's expected when using trees or other objects of such large size. I'm not entirely sure where I'd fit another tree in the suggested areas though. I've got that corner of one in the upper-right. Actually, it's kind of interesting how both Joel and I ended up with a corner of medium-sized tree in exactly the same area. Lüt wins with 62.50% of the vote. Congratulations! Regarding Screenshot: Challenge Accepted #91, it will be delayed until next Friday due to not enough entries. In order to get it started next Friday, we just need at least one more submission. However, I'll give it a few more hours before the delay is set in stone, so if you have an entry and want the next poll up today, now's the time to submit!